The Fluke 729 Automatic Pressure Calibrator has been designed specifically with process technicians in mind to simplify the pres­sure calibration process and provide faster, more accurate test results. Technicians know that calibrating pressure can be a time-consuming task, but the 729 makes it easier than ever with an internal electric pump that provides automatic pressure generation and regulation in an in an easy-to-use, rugged, portable package. 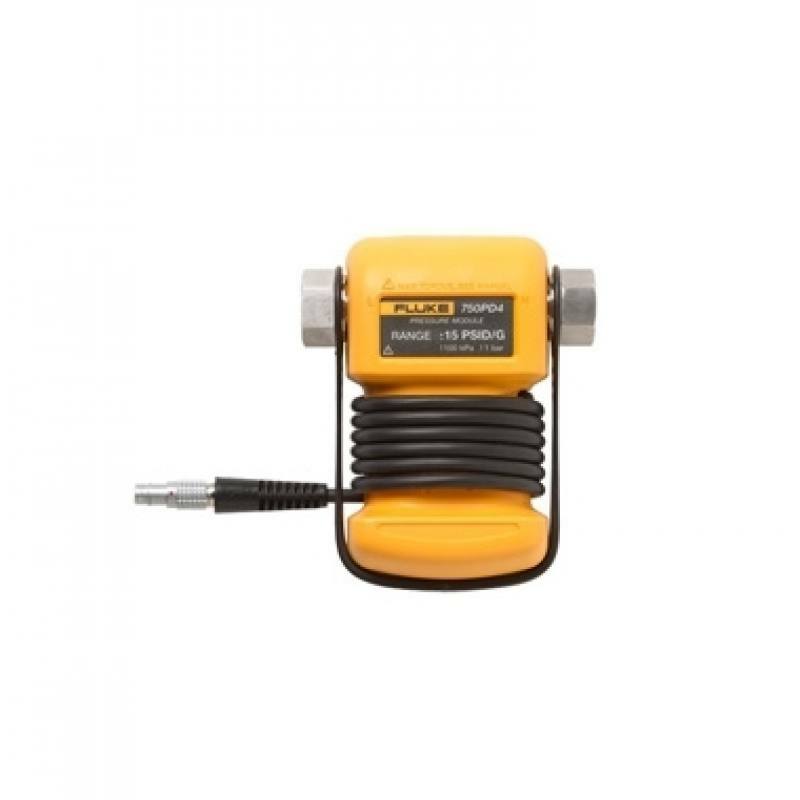 The ideal portable pressure calibrator, the 729 allows you to simply type in a target pressure, and the calibrator will automatically pump to the desired set-point. Then, internal fine adjustment con­trol automatically stabilizes the pressure at the requested value. 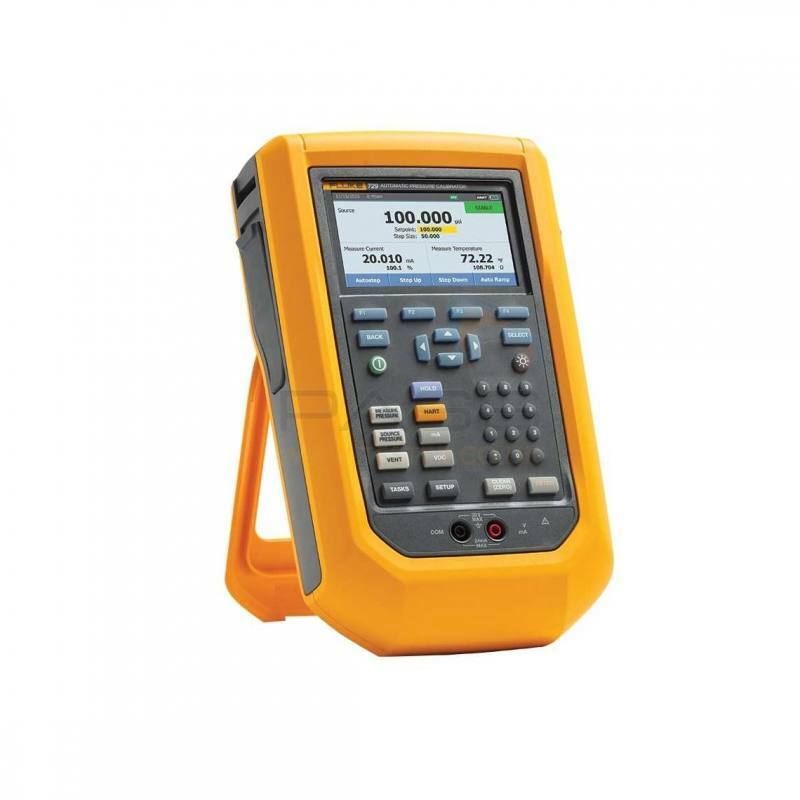 The Fluke 729 can also automatically test multiple pressure test points and automatically document the results. Calibration is as easy as typing in the starting and ending pressure and the number of test points and tolerance level. The 729 does the rest. Built-in HART communication capabilities enable HART transmitter mA adjustments, light HART configuration and the ability to adjust to applied 0% and 100% values. Upload and manage documented calibration results with DPCTrack2™ Calibration Management Software, making it easy to manage your instrumentation, create scheduled tests and reports, and manage calibration data. 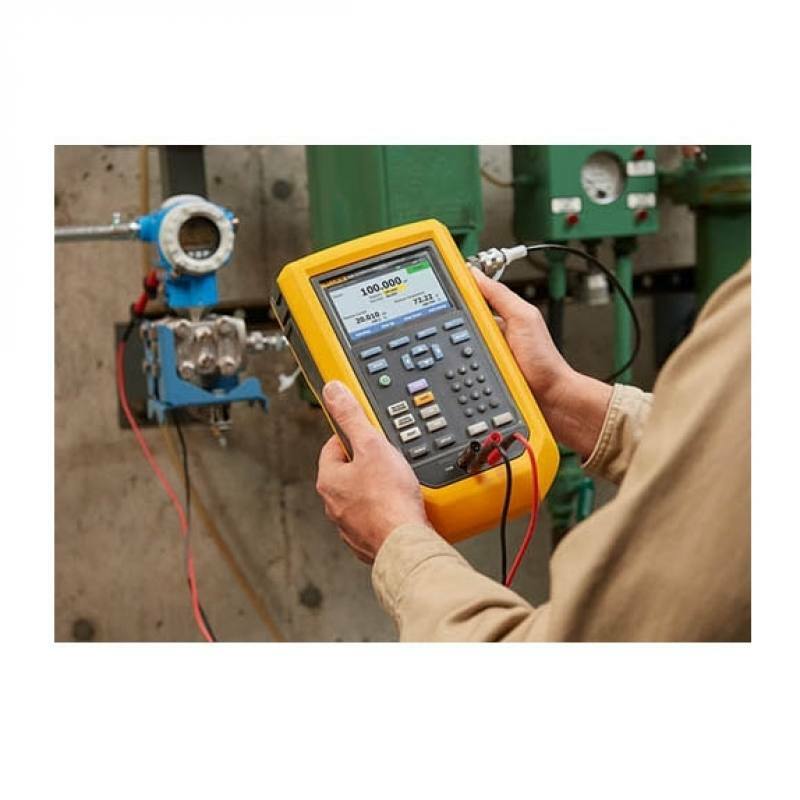 With three ranges to choose from, 30 psi (2 bar, 200 kPa), 150 psi (10 bar, 1 MPa) and 300 psi (20 bar, 2 MPa), Fluke 729 Automatic Pressure Calibrators are designed to perform when and where you need them. HART communication enables mA output trim, trim to applied values and pressure zero trimming of HART pressure transmit­ters. You can also do light configuration tasks such as changing a transmitter tag, measurement units and ranging. Other supported HART commands include setting fixed mA outputs for trouble­shooting, read device configuration and variables and read device diagnostics. Measure mA signals on transmitter outputs, source and simulate mA signals for testing I/Ps and other mA loop devices. Includes a 24V loop power supply for testing and powering trans­mitters in standalone tests disconnected from the control system. Rugged portable design and 3-year warranty set the 729 apart from most other pressure calibrators. The 729 is tested and war­ranted to withstand a 1-meter drop test so it is ready for field instrumentation calibration work. Fluke Connect® compatibility enables a user to perform remote monitoring using the Fluke Connect mobile app and also manage and store pressure measurements and logging events. Share mea­surements using ShareLive™ video calls and emails. All specifications are valid to 110% of range, except 24 mA source and simulate which are valid to 100% of range.